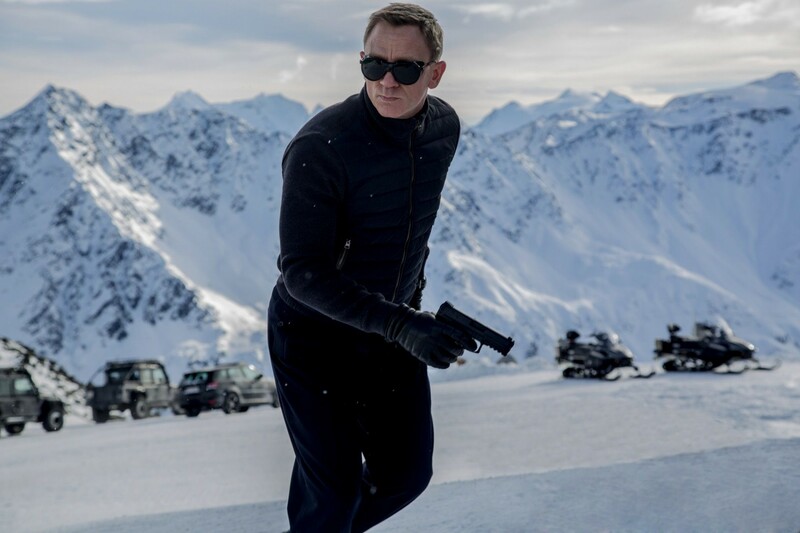 While Spectre is far from bad, it is likely to frustrate many fans, especially given its unenviable position of following on the heels of the near-perfect Skyfall. The latter flew in the face of expectations and pushed the boundaries of the franchise’s formula while paying homage to its rich history and serving as a mini-reboot. Spectre seems content to rest within those boundaries and coast. It delivers on one’s expectations, but rarely exceeds them, and the lack of the savage grace and gung-ho ambition of previous installments holds it back. Super-spy James Bond’s biggest struggle these days is to stay relevant in a post-9/11, Bourne-ian world. Spectre cleverly builds that conceit into the story by having a weasely bureaucrat (Andrew Scott, aka Sherlock scoundrel Moriarty) scheme to mothball the Double-0 division and consolidate British intelligence under one massive global surveillance network. The new M (Ralph Feinnes) is understandably perturbed, and made even more so when Bond makes matters worse by going on an unsanctioned mission in Mexico City during a Day of the Dead celebration. It’s one of the best sequences in the series to date, kicked-off with an incredible tracking shot before all hell breaks loose; alas, that energy dissipates during a bizarre title sequence that combines a Roger Moore-era naked lady montage with a touch of almost Lovecraftian soft-core tentacle scored to Sam Smith’s tepid theme song, “Writing’s on the Wall”. Spectre works hard to pick up the pace after that, with Bond jetting across Europe and North Africa on the trail of a shadowy cabal lead by the mysterious Franz Oberhauser (Christoph Waltz, less hammy than usual), a man with a connection to 007’s past. There’s a lot tantalizing clue-chasing involved, but the story too takes side trips into prerequisite skirt chasing (in the form of an underused Monica Bellucci as a crimelord’s widow and Léa Seydoux as the estranged daughter of a past enemy) and henchman bashing (via Guardians of the Galaxy‘s Dave Bautista as Mr. Hinx, a killer in the Oddjob/Jaws mold) that deliver action beats but don’t really propel the story. It’s very by-the-numbers until roughly two-thirds of the way into its 148-minute running time, when Bond falls into Oberhauser’s clutches and gets a peek at his secret scheme, as well as the sack of deranged weasels that is the man’s psyche. Director Sam Mendes gives the sequence an unexpected and inspired dose of surrealism that perks things up a little before it slides into a fast-paced but conventional final act. Craig, droll and unflappable as always, keeps the whole meandering affair together, and he continues to build upon the tortured “blunt instrument” he unveiled in Casino Royale and plumb Bond’s cold, wounded depths for hidden pieces humanity. As strong as the rest of the cast is, it’s Seydoux who steals the most scenes as a woman who sees Bond for what he is and is willing to fall for him — on her terms. In the end, Spectre feels like a conciliatory gesture towards the die-hard old-school fans who haven’t quite bitching about the change in tone since Craig stepped into 007’s tuxedo. There’s a certain Moore-era throwback feel to it — albeit far less hackneyed — and a lot of overly familiar Bond tropes. Maybe now that it has taken an unnecessary step back the series will start moving forward again.